Quarter the flaky biscuit dough. Take one quarter and flatten with your finger. Place a mini Oreo in the center and close the biscuit dough around it. Make sure to seal the seam as much as possible. Repeat with the rest of the biscuit dough. Fry the doughnut holes until golden brown. Set aside to cool down. Combine powder sugar and whole milk to form the glaze. 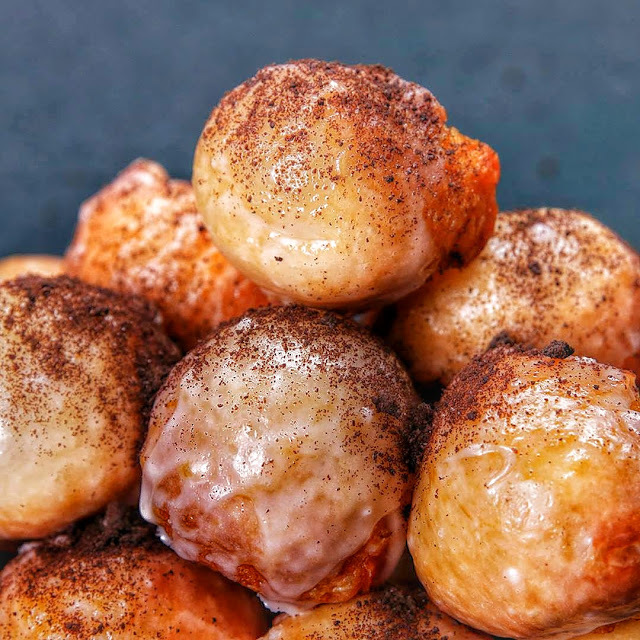 Dip the fried doughnut holes in the glaze. Sprinkle crushed Oreo cookies over the top while the glaze is still wet. Enjoy!